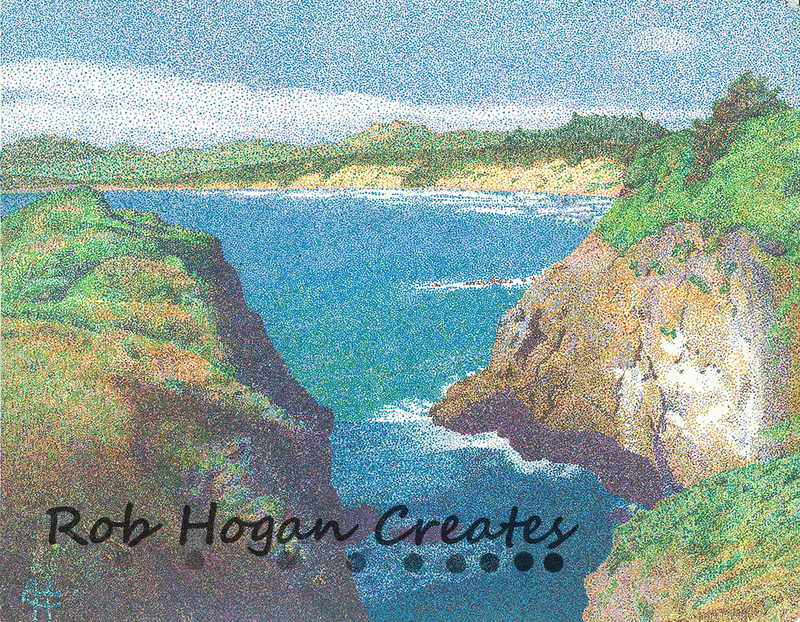 Rob used a photograph he took from the Yaquina Head state park in Oregon as reference for this work. This particular piece involved over 300 hours of work to complete and has hundreds of thousands of hand placed ink dots. Rob created numerous pointillism pieces, and used the art practice as self therapy while working as a college administrator. This work is available for purchase or exhibition.